She really is an evil Little Mermaid...what's this World coming to? She is SPLENDIDLY painted & based. She is also one of those miniatures that always has some cool little detail to discover. VERY WELL DONE! 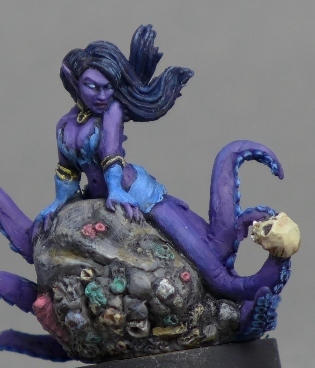 This is such a cool miniature and you've done such a beautiful job on her! She's just delightfully evil! Makes me want to paint my copy. Great job! I've been wanting her every since I saw it on bookface. 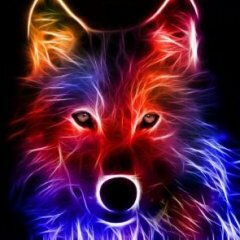 Your's is really wonderful! : :: : : : I initially didn't dig her on the chunk of coral, but it really grew on me. Beautiful pure skin.. Love it! Great job on an awesome mini! Makes me want to buy a copy! 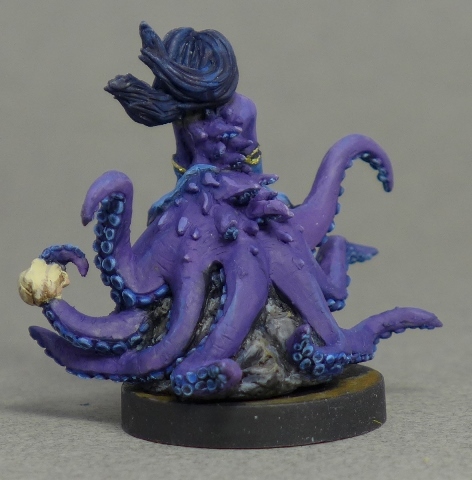 Great mini and a great take on it, lovely work. Thanks all, she is a fun little mini to paint. Painting all the suction cups was a pain thought, I probably spent as much time on those as I did on the entire rest of the mini! They have lots of great minis! I especially love the Dark Mariners faction. Those suction cups do look rather tedious, but you did a great job! I love her! You did a beautiful job painting her!